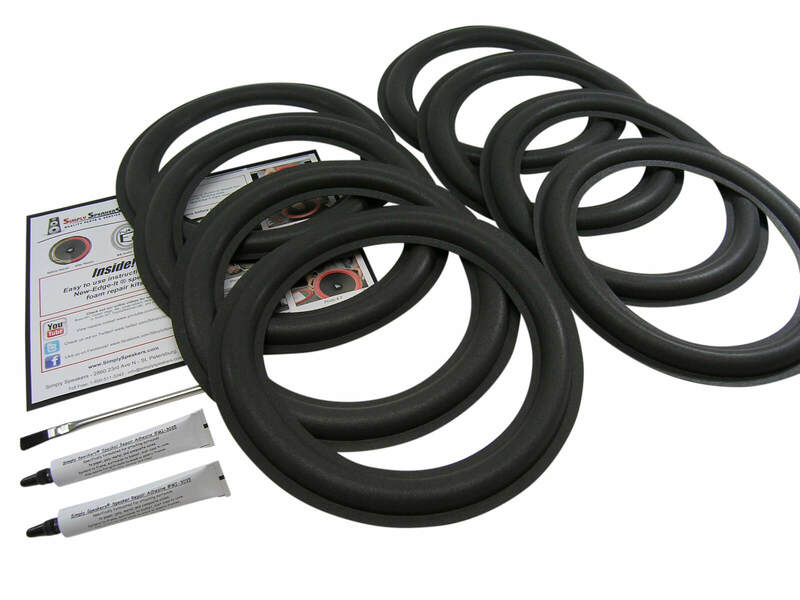 EIGHT new formula polyether foam rubber surrounds. These last much longer than the original foam. 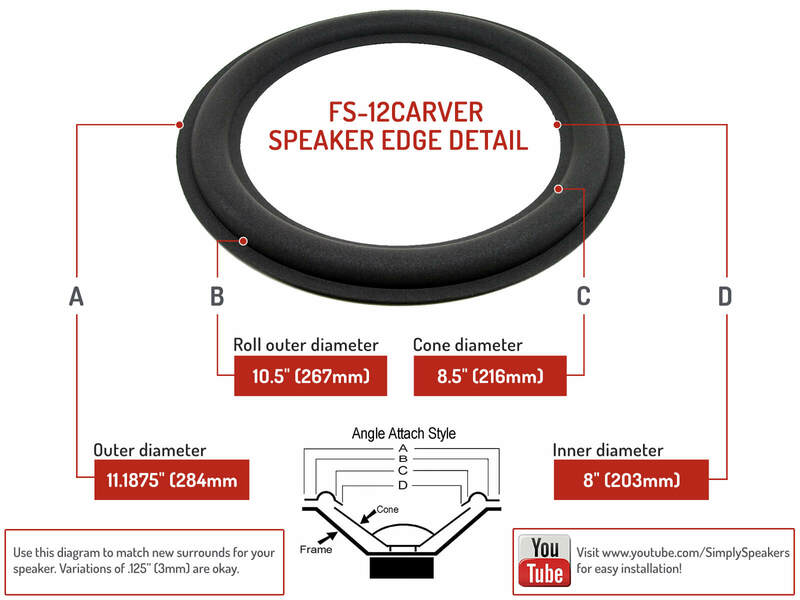 Carver foam speaker repair kit was easy to use. Takes a little time to clean all 8 speakers for new foam. After I had the clean up finished the new foam replacement were easy to install. Speakers look great and sound like new. Great product ! Excellent product.Fast shipping and first rate customer service through website and notifications. This is the first time I have ever tried to do a foam replacement. My almost 30 year old Carver Silver speakers were in dire need, and I thought I would have to replace the entire speaker. This kit worked great!! It really wasn't that difficult. Watch the video and read the directions. I am very pleased! All product was received as promised. The installation went well. Repairing eight (8) 12" drivers only took one evening. The speakers sub-base sounds like new. 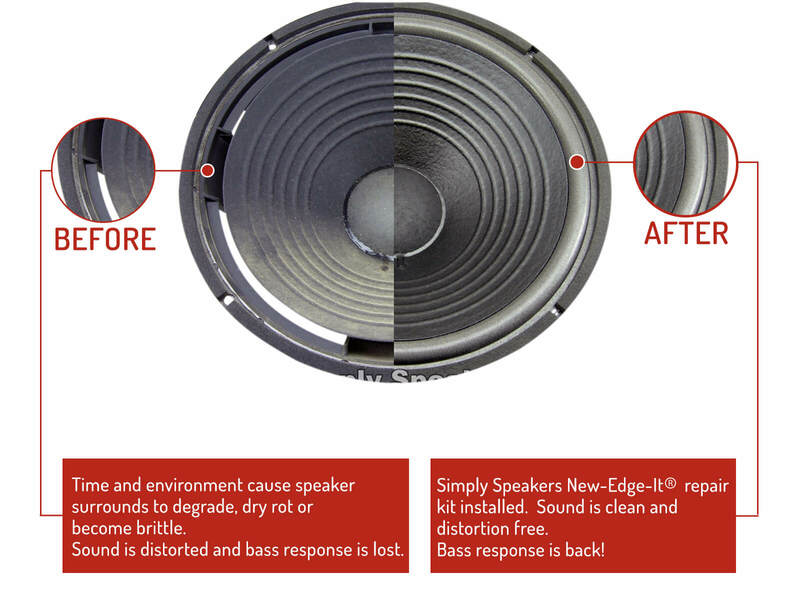 I forgot how much power and low frequency an open baffle speaker can produce. Thank you Simply Speakers! I was pleasantly surprised how easy it was to use the foam kit. Six woofers are a lot to do. However, I just took my time and followed the directions. A few hours later, I have excellent sound and my speakers look and sound like new. One note, Since the Carver woofers are heavily wired into the speaker cabinets, I just laid the speakers flat and repaired the speaker while being still mounted in the cabinets. It worked perfectly and was quick.